Have you seen guys in advertisements and magazines showing off their massive, rippling muscles? You simply can’t help yourself from wanting the same thing, can you? However, the only thing you can do is to frown on the thought that it is possible for you to possess what they have. You may have a body type that makes you believe you could never get huge but it is time to throw that thinking out the window. 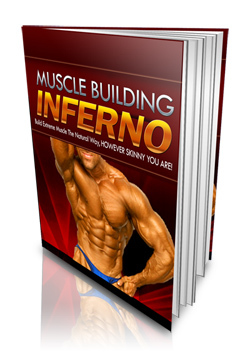 This book will give you the necessary tools to get yourself massive and ripped and help you do it in the right way. There is no better feeling than looking in the mirror and seeing that your muscles have grown. To see yourself with bigger arms and a more developed chest is a feeling that is hard to explain unless you experience it.